MarketSaw - 3D Movies, Gaming and Technology: Jason Momoa's AQUAMAN Breaks Surface! Jason Momoa's AQUAMAN Breaks Surface! There is only one true King. Unite the seven. I think this is perfect casting and really amplifies my expectations for BATMAN V. SUPERMAN: DAWN OF JUSTICE. Jason Momoa just fits this role. Certainly the character needed presence as with any comic book superhero it can be a stretch to attain suspension of disbelief, but especially for the more marginal heroes and their abilities. Momoa definitely brings presence and the image shows how director Zach Snyder and DC are tackling his costume and weapon of choice. Brilliant use of tattoos to mimic the traditional Aquaman costume! 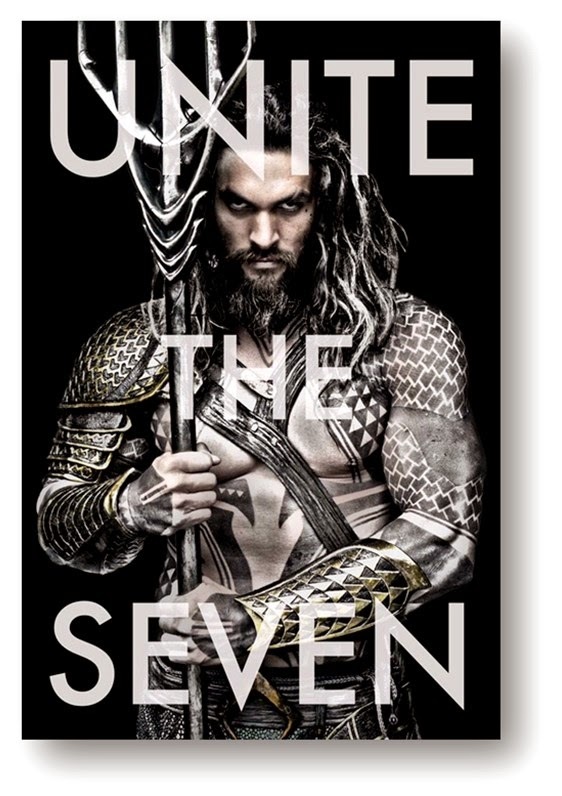 The tats also bring to mind cultural tattoos from the pacific islands - part of Momoa's heritage (his father is of native Hawaiian descent). Momoa joins a stellar cast in BATMAN V. SUPERMAN: DAWN OF JUSTICE namely Henry Cavill (Superman), Ben Affleck (Batman), Gal Gadot (Wonder Woman), Jesse Eisenberg (Lex Luther), Jeremy Irons (Alfred), Amy Adams, Diane Lane and Laurence Fishburne. Aquaman's exposure has been carefully planned and he is expected to have presence in JUSTICE LEAGUE PART ONE (slated for November 17, 2017), AQUAMAN (July 27, 2018) and JUSTICE LEAGUE PART TWO (June 14, 2019). BATMAN V. SUPERMAN: DAWN OF JUSTICE is slated for a March 25, 2016 release.